This is a real lake! Insane, right? There are so many beautiful places on this Earth that most of us will never see in person - thank goodness for the internet. Today's color story comes directly from nature. 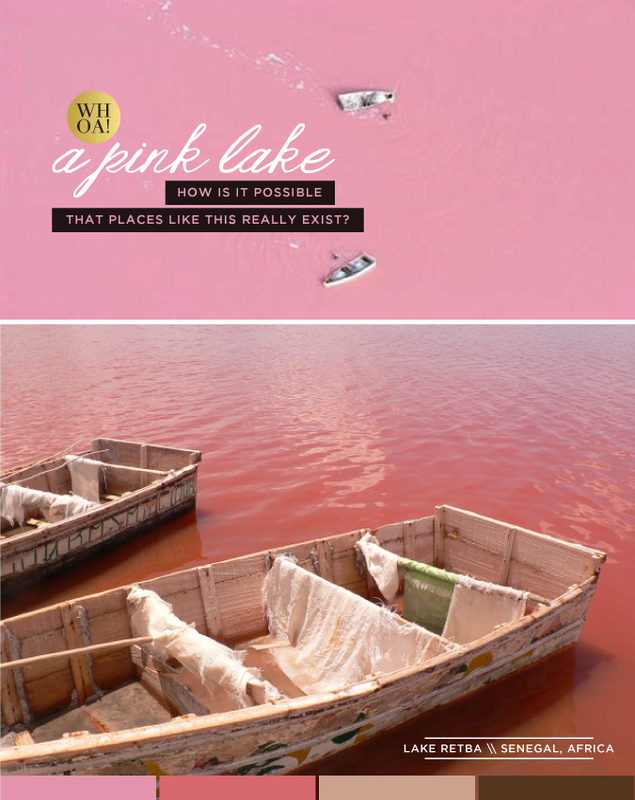 Lake Retba in Senegal, Africa changes in color throughout the year with varying hues of delicious pink. It is separated from the Atlantic only by some narrow dunes, so the salt content is really high. Most organisms cannot survive in it, but it is perfect for the locals who extract and collect the salt. The pink color comes from salina bacteria that produce a red pigment. It is harmless to humans and swimming in the lake is perfectly fine. The pink shades in this lake are truly inspiring and so gorgeous.